I’ve got a special guest lined up for our June Women’s Beer Forum. Devon Randall is a brewer at the Lost Abbey down in San Diego, and I’m super excited to have her as our guest for the Women’s Beer Forum to present a flight of Lost Abbey’s beers! The Lost Abbey beers are made from the four traditional ingredients. But in the spirit of innovation and flavor driven beers, they also utilize techniques normally associated with cooking including the use of herbs and spices and proprietary processes that they have developed to impart signature flavors on their beers. The forum will take place at the brewery on Wednesday, June 15, 2011 from 7:30p-9p. Come join me in welcoming Devon, learning about the Lost Abbey beers, and tasting some of their super special products! Please rsvp so that we are sure to get enough of these delicious beers to share with the group. The ladies of Global Soul Food Truck will also be joining us that evening so be sure to arrive both hungry and thirsty! Thanks and looking forward to seeing you all soon! Beer School is in session! This month’s class is all about Saison. Come learn all about this traditional farmhouse-style ale from Drew Beechum (the man who wrote the book on homebrewing) and taste some great saisons. It’s the perfect way to prime your palate for the summer! 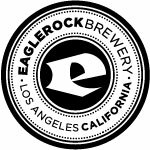 The class will take place in the Eagle Rock Brewery taproom on Tuesday 5/24/11 from 7pm to 9pm. As usual, the taproom will be open at 6p for those registered in the class to come in to pickup the course materials and enjoy a pre-class beer. Cost will be $30 per person and registration can be purchased online. Thanks and hope to see you in class! Please Note: Class registration is non-refundable so please do not register for the class until you are absolutely certain that you will be able to attend. No exceptions will be made. The registration does not include a guest, so please do not bring guests with you and expect that they will be able to stay. All of our classes have sold out and space and class resources are limited, so as a courtesy to everyone involved, no exceptions please. It’s nearly time for the next Women’s Beer Forum and in honor of Mother’s Day, I’ll be presenting an entire flight made in the traditional Methode Champanoise! What does that mean you ask? They’re champagne-style beers which are fermented twice, and generally aged in the bottle, to give them a crisp dry finish and the tingle on the palate of the tiny bubbles that we love so much in our champagnes. This relatively involved process, makes for very special and delicious beers, which are both rare to find and generally very expensive to come by. These are not typical beers in this flight, so you’re in for a treat! Come and join me in a rare opportunity to taste 4 of these very special bieres de champagne. The event will take place at the brewery on Wednesday, 5/18/2011, at 7:30p. The cost will be $15 for this flight of rare beers. Please RSVP on our website so that we’re sure to have enough of these bottles to go around. Looking forward to sharing these little gems with you ladies! We’ll have another female-owned food truck, Almoosal, to serve up some delicious eats to soak up our beers, so be sure to arrive both thirsty and hungry!